Hilton Garden Inn Washington D.C. 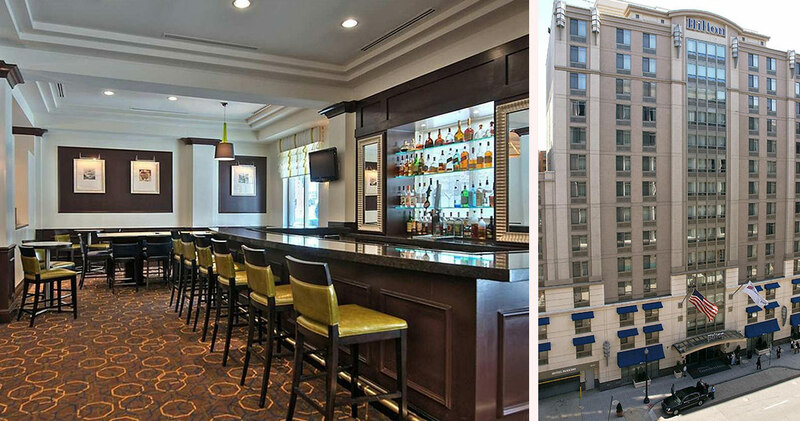 Downtown is centrally located, close to the Smithsonian Museums, US Capitol and White House. 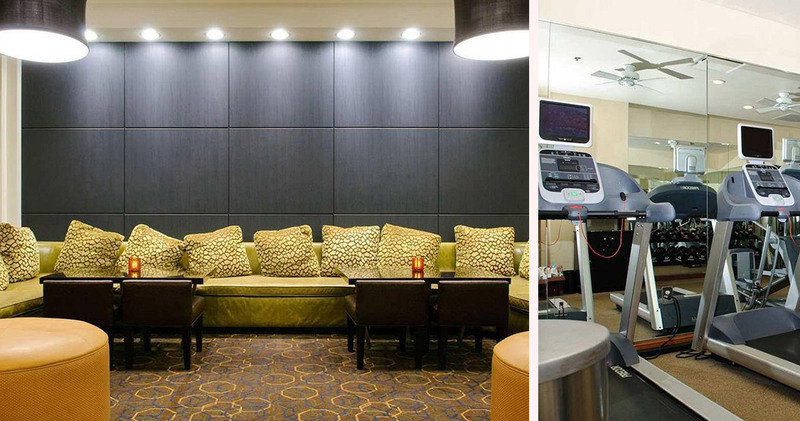 This modern, sophisticated hotel has a welcoming ambiance and elegant decor. 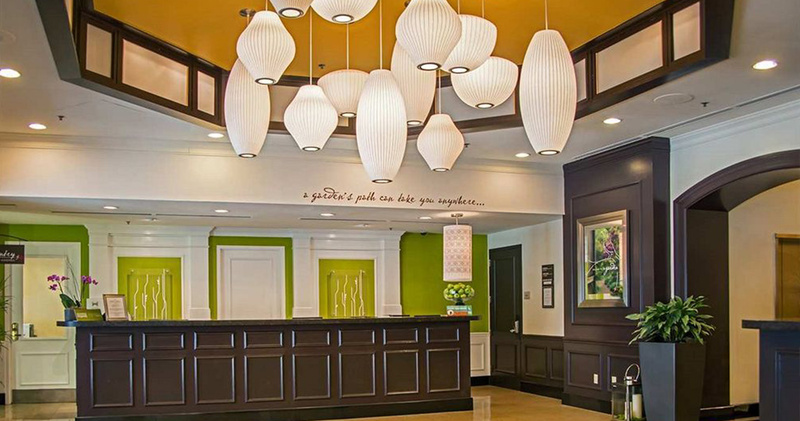 The spacious lobby features a tasteful color palette, modern lighting and beautiful dark hardwood finishes. 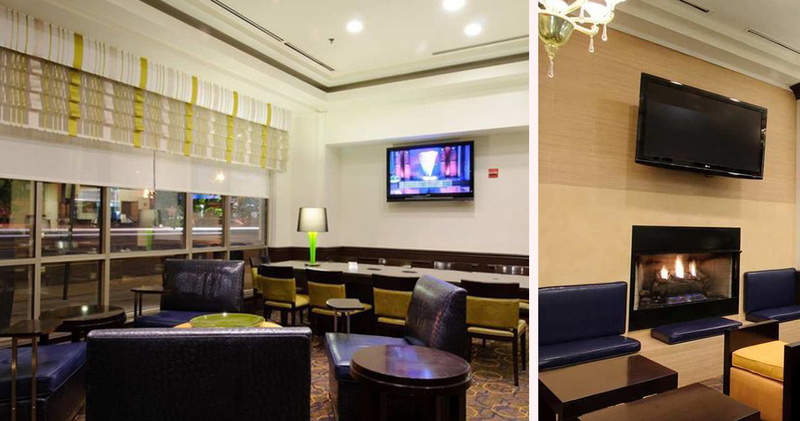 The hotel’s lounging area features a cozy fireplace and comfortable furniture in shades of royal blue and pale gold. It is an inviting space for guests to unwind and socialize. The Pavilion Pantry at Hotel Hilton Garden Inn is open 24 hours a day and offers snacks and travel essentials. 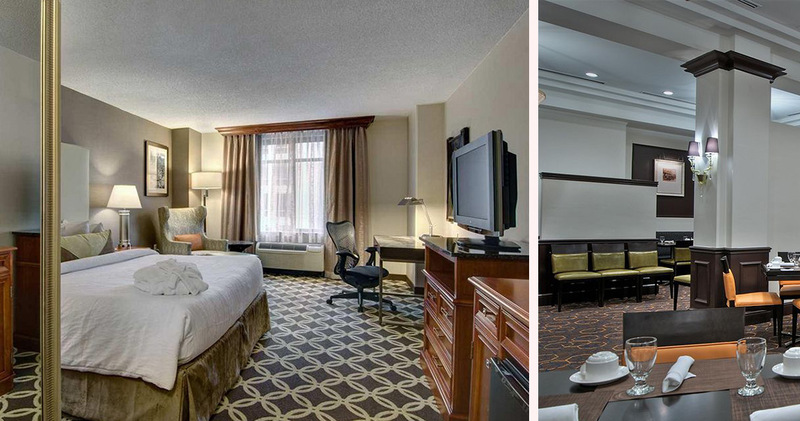 The guestrooms at Hilton Garden Inn Washington D.C. Downtown are elegant and contemporary. 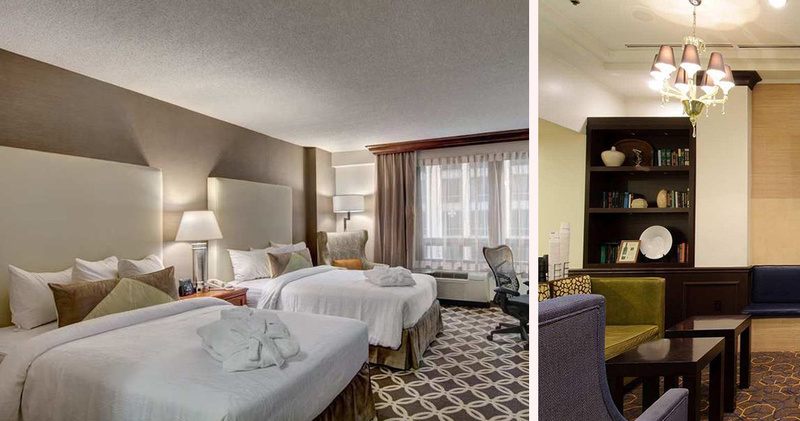 With an inviting brown and beige color palette, the guestrooms have large windows for plenty of light. A plush armchair and ottoman, large desk and Mirra ergonomic desk chair provide guests plenty of seating space. Beds feature a Garden Sleep System mattress, feather pillows and 250 thread count cotton linens. A Keurig coffee machine, microwave and refrigerator are available in each room for refreshments. 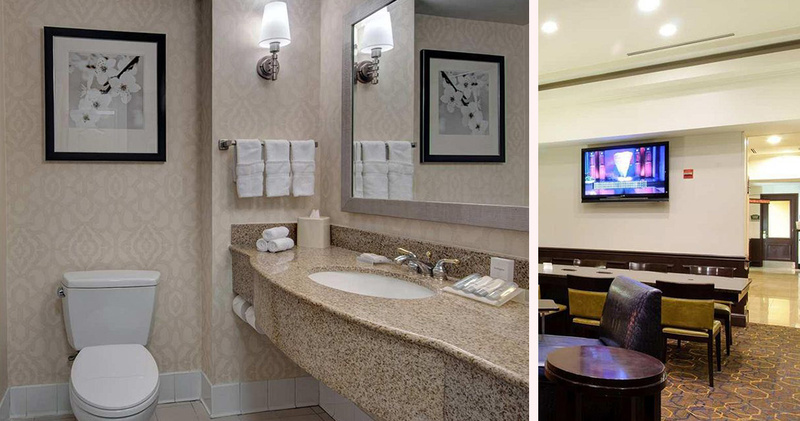 The bathrooms at Hotel Hilton Garden Inn are modern and well appointed with granite vanity and Neutrogena bath products. 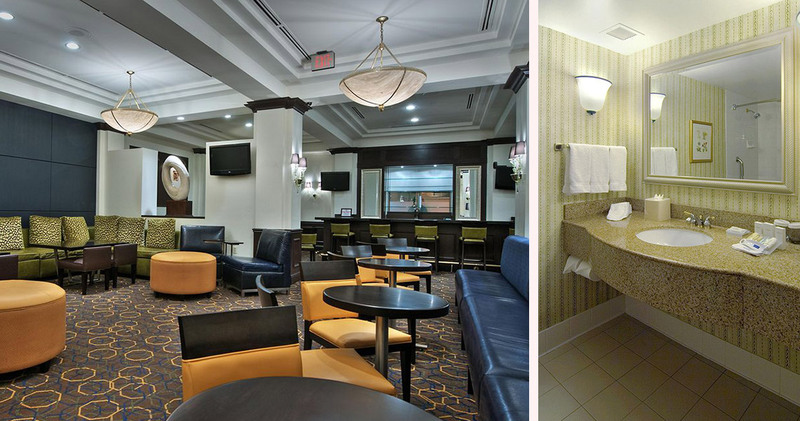 Hilton Garden Inn Washington D.C. Downtown is home to the Grist Mill. This casual dining restaurant has a relaxed, welcoming decor with a brown, black and white color palette, cozy tables and a lounge area. Chef Christopher Willis is a James Beard Foundation chef and serves fresh American cuisine.